Mary Alice has many years experience as a piano teacher and is a Nationally Certified Teacher of Music (piano) through Music Teachers National Association. She has an Associate in Arts degree from Harrisburg Area Community College. She studied piano pedagogy at Valley City State University, ND, music theory and music history at College of St. Scholastica, MN, and applied music (organ) at Lycoming College. 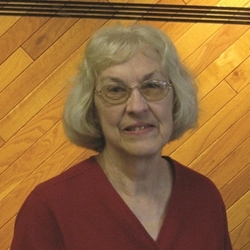 Mary Alice is chairperson of the Williamsport Chapter of National Guild of Piano Teachers and a member of MTNA and PMTA. She serves as church organist and chime choir director for her church.